The fleet says proposals to trim the amount of halibut it catches would be damaging, while other fishermen call for tighter controls on the trawlers’ bycatch. When Skipper Bill Hayes brings up his trawl net from the bottom of the Bering Sea, he often finds halibut mixed in with the yellowfin sole and other fish he pursues with a Seattle-based trawler. Poached in a lemon herb sauce or seared on the grill, these firm white-fleshed fish would be fine eating. People often pay more than $15 a pound for halibut at the store. But federal harvest rules only allow hook-and-line fishermen — not trawlers such as the boat Hayes captains — to sell these fish. 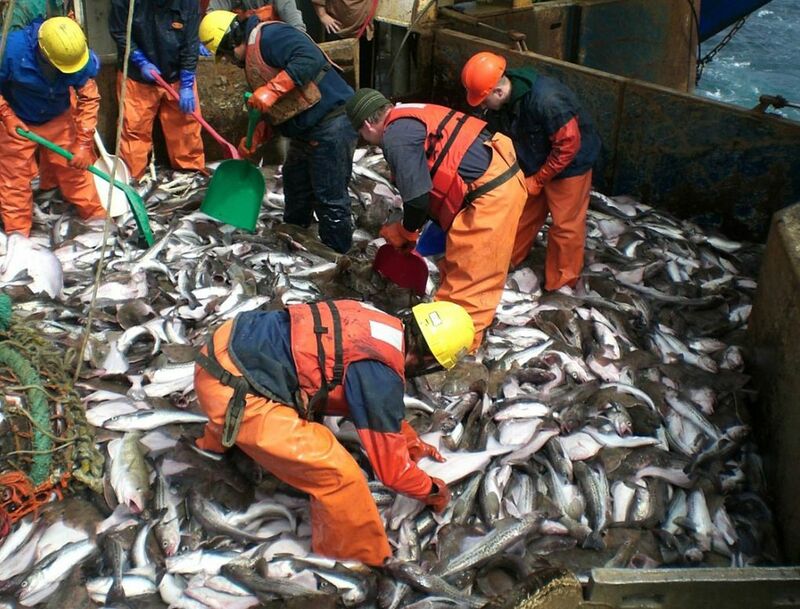 To make trawlers try to avoid halibut, they are required to dump this “bycatch” overboard. They can’t even donate the fish to a food bank. As a result, over the past decade they have jettisoned an estimated 82 million pounds of dead or dying halibut. The scope of those discards — during a period of concern about diminished halibut stocks — has triggered an intense fish fight that will take center stage this week as the North Pacific Fishery Management Council meets in Sitka, Alaska. This battle plays out between two very different industry groups: a longline fleet with a century-long history in catching halibut with arrays of baited hooks, and a younger trawl fleet that focuses on sweeping up large volumes of other, lower-value fish in large nets. The hook-and-line fleet is pushing the council to make big mandatory reductions in the total bycatch, while the trawl fishermen contend such measures could undermine the profitability of the fleet and stall a major effort to build new vessels. One of the few areas of common ground in this fight is a shared disdain for the dumping of all this halibut, as most of the fish don’t survive. Hook-and-line fishermen want trawlers to do a much better job of avoiding these fish, many of which are young and undersized. Currently, there is a fleetwide limit on how much halibut the trawl fleet can catch and dump each season before it must shut down operations and go home. 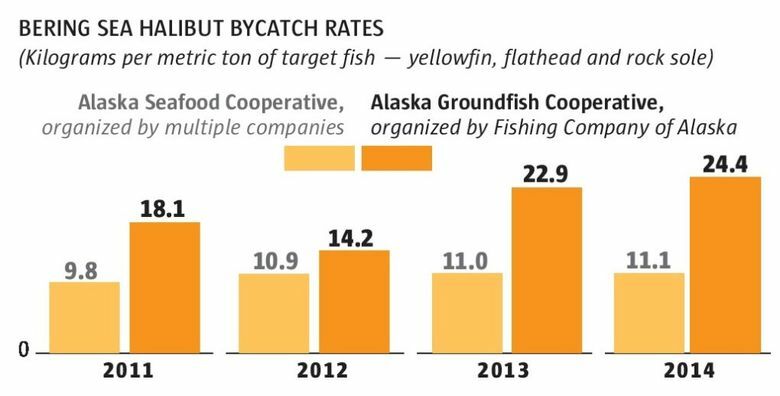 The fishery council, with members drawn from Alaska, Washington and Oregon, is to decide whether to cut that halibut cap by as much as 50 percent. The conflict has strong regional undertones. Most of the trawlers are based in Washington, while the discards have ignited some of the strongest passions in the 49th state, where halibut helps sustain hundreds of small-boat longline fishermen in many coastal communities. Over the past decade, the dead and dying halibut dumped by trawlers working off Alaska equals nearly 20 percent of all halibut caught off Alaska and brought to market by the hook-and-line fleet. During those years, halibut stocks of harvest age have been on a downturn. The International Pacific Halibut Commission, which sets catch limits, has cut commercial longline harvests off Alaska, Canada and the West Coast from more than 70 million pounds in 2005 to less than 24 million pounds last year. Alaska’s Bering Sea region has been hit with some of the biggest longliner cutbacks. And next year, if the trawl discards aren’t reduced, the Bering Sea halibut longline fishery risks getting cut back still further. That prospect has stoked plenty of anger in Alaska. The Bering Sea trawlers at the center of the controversy are a fleet of about 20 vessels that make their money by catching, cleaning and freezing yellowfin sole, rock sole and other species that share the sea with halibut. Bering Sea trawl fishermen note that the halibut they waste is capped at 5.1 million pounds a year for the entire fleet. That’s a small percentage of their total harvest of more than 710 million pounds of fish, with a value that typically exceeds $320 million. In recent years, they have been able to conduct their harvests without approaching that cap. But they contend that lowering the halibut limit by 50 percent would cripple their fleet, forcing them to end their seasons long before they get their quotas of the allowed target species. There is no consensus about how big a financial hit the trawlers would take from a reduced limit. Those uncertainties, in part, reflect different perspectives on how much trawlers could do to reduce the number of halibut they catch and dump. To prepare for this week’s meeting, the federal fishery council hired a contractor to examine the impact of lowering the trawler cap on halibut discards. That analysis concluded that if the Bering Sea trawl fleet were required to cut halibut discards by 50 percent, the lost revenue would range from $37 million to nearly $70 million a year. 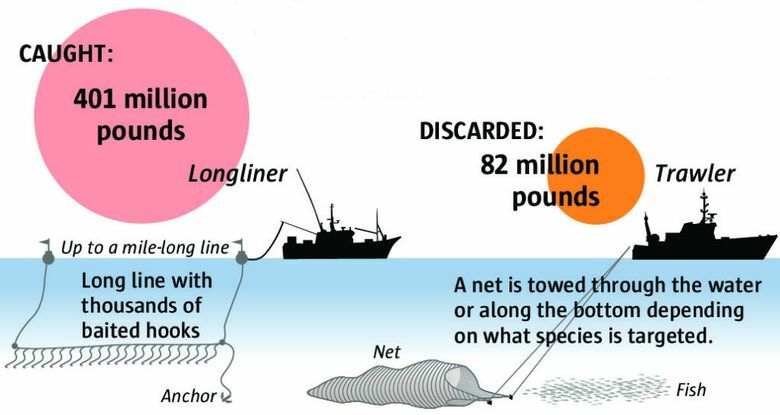 Trawl operators cite a much higher figure. The Ground Fish Forum, an industry group that represents most of their fleet, estimates the losses would top $136 million annually and that some vessels would stop fishing. Already, trawl-industry officials say the fear of halibut cutbacks is slowing efforts to upgrade the aging fleet with new vessels — investments that could generate $1 billon in revenue to shipyards. 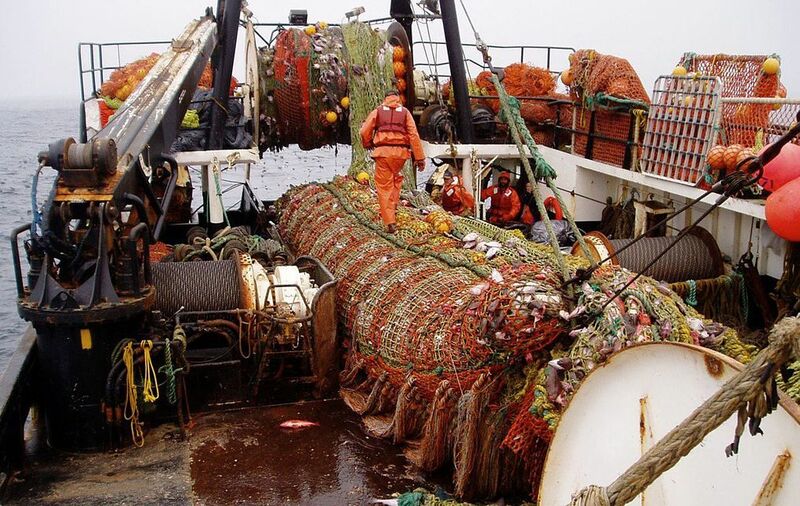 “Everybody is scared to death to go down that road, so they are stuck with 30, 40 and 50-year (old) hulls,” said Dennis Moran, president of Fishermen’s Finest, a Kirkland-based trawl company. His company is building one new catcher-processor vessel at Dakota Creek Industries in Anacortes at a cost of more than $70 million, but it put on hold plans to build two more. “Anyone who wants to build a new boat at this point would have to have their heads examined,” he said. Moran’s company, which operates two catcher processors, has undertaken a high-profile campaign to rally support for the bottom-trawling fleet. In April, his company delivered a petition signed by more than 23,000 people to Gov. Jay Inslee, seeking to rally support for the bottom trawlers in their efforts to stave off council actions. It’s not clear all three Washington council members will support the bottom trawlers. Alaskans, with six of the 11 voting seats, hold the majority on the federal fishery council, and they face intense pressure to endorse a 50 percent halibut cut. Due to conflicts of interest, two of the Alaskan representatives have been disqualified by the U.S. Commerce Department from voting in the Sitka meeting on the halibut proposals. But that may prompt Alaskans to delay the vote until they can reassert their majority. “If there is any chance we might not have six votes ready and able to vote, we will postpone,” said Clem Tillion, an Alaskan who represents Aleut Native fishermen and who once served as chairman of the North Pacific Fishery Management Council. No matter what happens at the meeting, the trawl fleet is expected to continue to face intense pressure to reduce the numbers of halibut that end up in its nets. A council study concluded that bottom trawlers could still do more to cut their take of halibut by shifting the timing and location of some of the trawls, as well as other measures. Hayes, who works for Seattle-based U.S. Seafood, says his company already takes significant steps such as using “excluder” devices that hamper efficient fishing but enable more of the large halibut to escape the net before it’s drawn to the surface. Hayes also tows his nets at slower speeds so that he doesn’t sweep up as many halibut, and quickly moves away from any spot on the sea floor that is full of halibut. He says the toughest challenge is to keep from killing the many small halibut, which don’t get separated by the excluders. 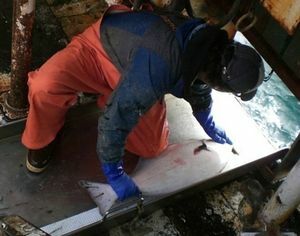 To boost their survival rates, Hayes would like to sort the halibut from the rest of the catch on his deck, rather them dump all the fish into below-deck tanks. That would enable him to rescue more halibut while they’re still alive and return them to the sea. The rules prohibit such deck sorting, out of concern that federal observers wouldn’t be able to properly sample the catch. But experimental efforts have been permitted, and a 2013 study found halibut mortality rates on one vessel could be reduced from about 80 percent to around 60 percent. This year, those experiments once again are under way, with additional federal observers brought on board, at the trawlers’ expense, to watchdog that effort. “It’s definitely a conservation idea whose time has come,” Hayes said.